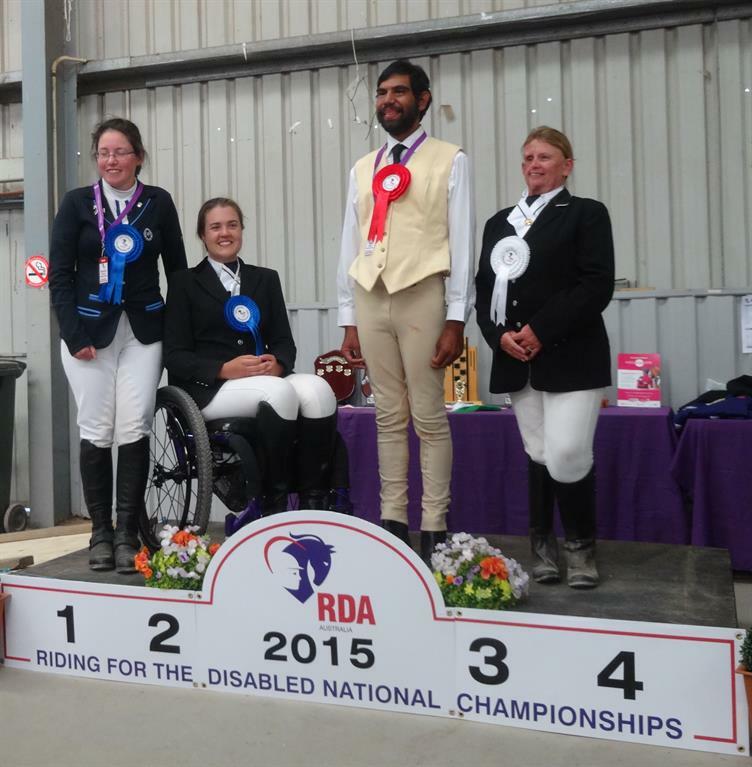 Ethan Satour - Riding for the Disabled Association of Australia Ltd.
"Initially Ethan struggled to bond with the horses but he instantly 'clicked' with Ranger"
Ethan Satour made history at the RDA National Championships by being the first competitor from the Northern Territory. But that wasn't all - it was a celebration of "21sts" at the Championships. It was Ethan's horse, Ranger's 21st birthday. Ethan started with RDA Alice Springs 6 years ago as a rider with his school group and after finishing Year 12 he commenced a VET Certificate course in Horsemastership, completing his practical components through RDA. He is now a part time stable hand working at the RDA Alice Springs Centre. Ethan has competed in the NT School Sports Athletics competition and was a finalist in the Young Achiever Awards (NT). His goal for the future is to become an elite equestrian competitor. 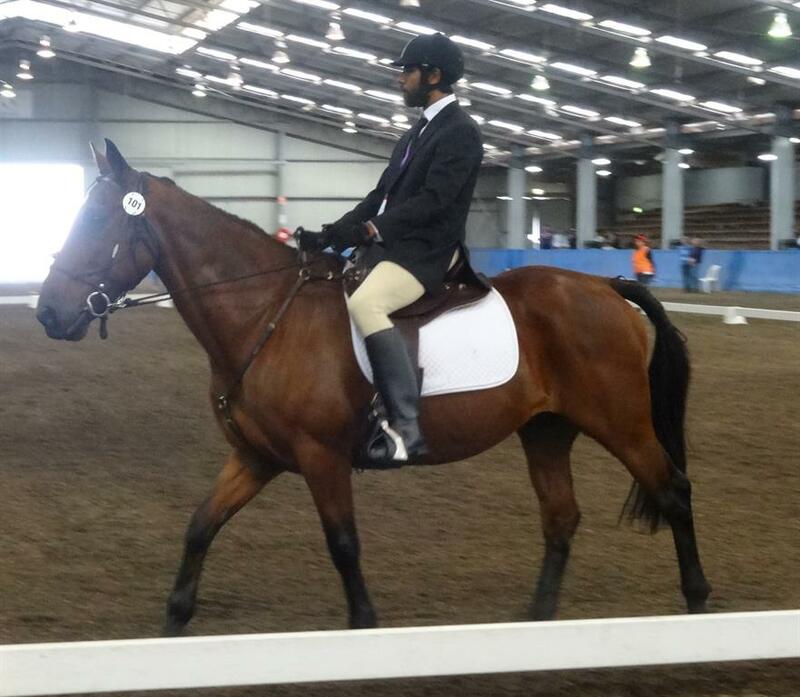 Ethan, Ranger and the crew from Alice Springs made the remarkable 2,300km journey to Werribee, Victoria to participate in one dressage test. Once he was there, however, Ethan was persuaded to join in the Working Trails competition as well - and what a good decision as Ethan came 2nd in his class! Ethan travelled with his family members and his RDA Coaches Jodie and Dusty who all had a great time meeting people and making friends from all over the community. 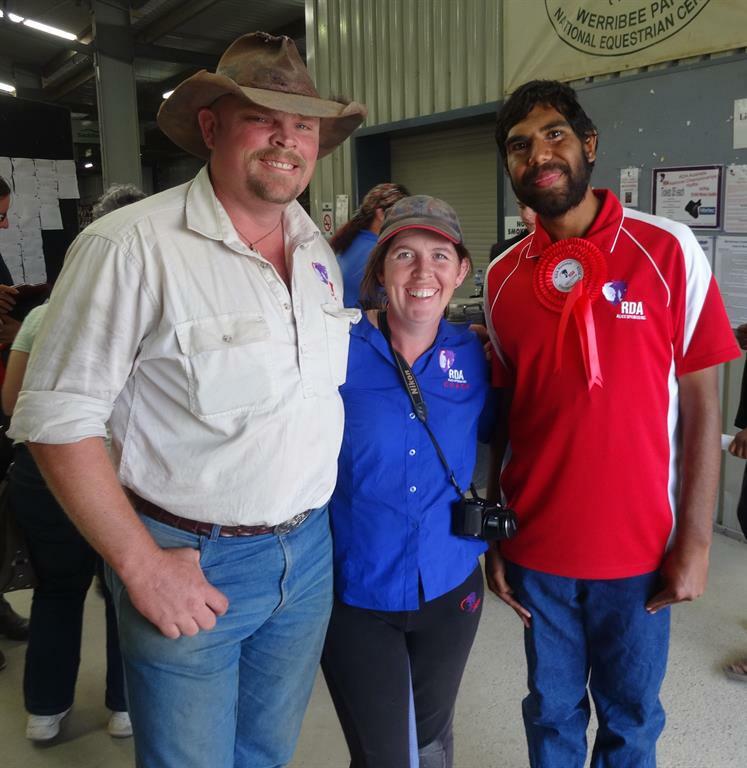 Ethan was supported by the MacDonnell Range Holiday Park, Brendan Heenan along with RDA Alice Springs Centre. "Initially Ethan struggled to bond with the horses but he instantly 'clicked' with Ranger" says coach and Centre Administrator, Jodie Grant. Ranger, a calm and gentle giant, is a firm favourite among staff and riders alike. He took his career move from Harness Racing to RDA Horse like the true champion he is. Ranger, a bay Standardbred gelding, bred from New Zealand "Tupeka Knight" and racing under the name "Lomu", notched up 9 wins and 6 placings from his 28 starts. Former Victorian trainers Keith and Sandy Cotchin, just adored him and said they were so glad to see Ranger loved and happy at RDA. A great success story for Ranger, finding his new career after racing and Ethan's new career in the equestrian industry. Powered by MAILman Web Design & Development by Direct Marketing Software.